Just learnt that comics artist Marie Severin died a couple of weeks ago, aged 89 and after having dedicated practically all her working life to comics, including 30 years in Marvel. How is this related to Pink Floyd? 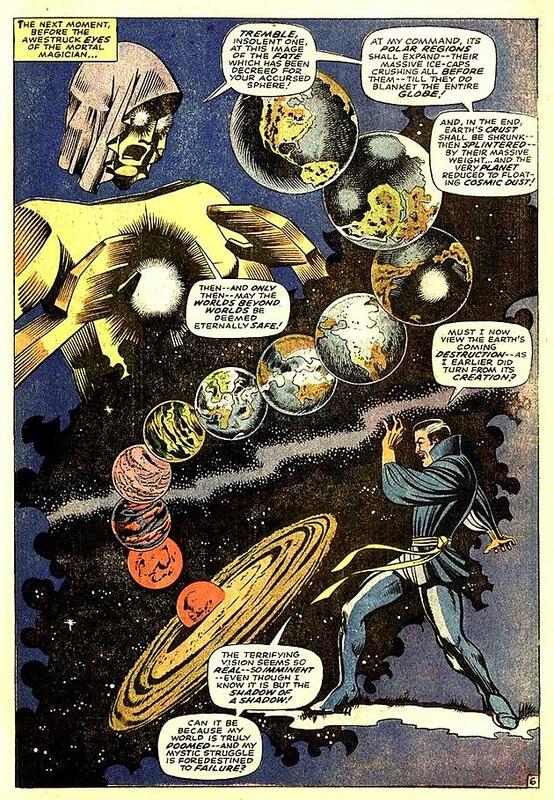 Well, she drew the Doctor Strange page parts of which appeared on the cover artwork of A Saucerful of Secrets. That is a shame. Thank you for the heads up. I was unaware of who she was, but knew that Floyd used bits of this on the album cover. May she rest in peace. I'll be damned, what a great bit of info. I've always associated Marie with the classic EC comics line such as Tales From the Crypt, but never dreamed that she'd be involved with a music program. I'd love to know how it transpired.